New Delhi: Jaga-Baliya, the conjoined twins, are back in their room with their parents. They were operated on August 28 at AIIMS here and the surgery lasted 22 hours. “They are both healthy, accepting normal diet and interacting well with their parents as before. The team of doctors are satisfied with the progress shown by the twins,” said Chief of the Neurosciences Centre Prof A K Mahapatra. The surgery by a team of 40 doctors created a new channel to carry venous blood using an innovative bypass technique and managed to separate a significant portion of the boys’ brain, he said. 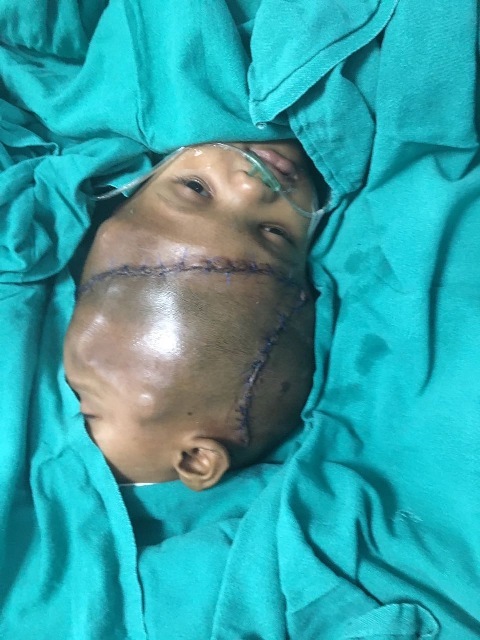 “They will undergo a few more investigations in the coming weeks to decide upon further surgeries,” said Prof Deepak Gupta who led the team with Prof Mahapatra. They may require 1-2 more operations before the final separation, he added. The parents of Jaga and Baliya, poverty-stricken farmers from Kandhamal district, couldn’t afford to raise the kids in their condition and had sought the help of the government to fund their surgical separation. The parents had earlier rushed them to SCB Medical College Hospital shortly after their birth but could not continue with the treatment due to financial constraint. The Odisha governement is providing a financial assistance of Rs 1 crore towards the expenditure for the surgery of the rare twins.